3. Select Channel Mode or Category Mode. There may be instances when SiriusXM’ Radio does not broadcast all the data fields (artist name, title). This does not indicate a problem with your audio system. SiriusXM’ Radio stations load in ascending order, which can take about a minute. Once they have loaded you will be able to scroll up or down to make your selections. 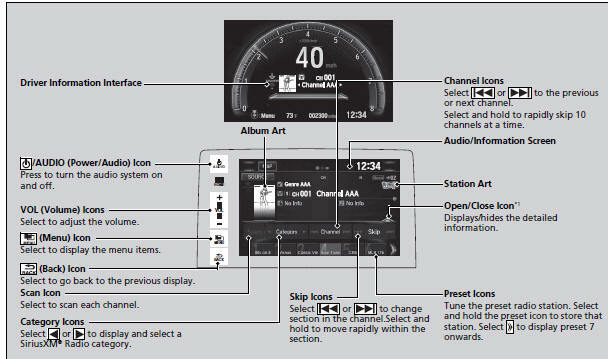 Switching the Audio Mode Press the or button on the steering wheel or select SOURCE on the screen.